​Shield your eyes, Duke haters. You might want to mail in your fandom this year and crawl into a hole. The Blue Devils -- laughably ranked the No. 4 team in the nation -- debuted their highly-anticipated freshman stars on Tuesday night against what many thought would be an equally stacked No. 2 Kentucky Wildcats team. Wait, did we just watch an NBA game? Duke dominated from the start and never looked back. Not even for a second. Once the score was 18-8, it was over. Finito. 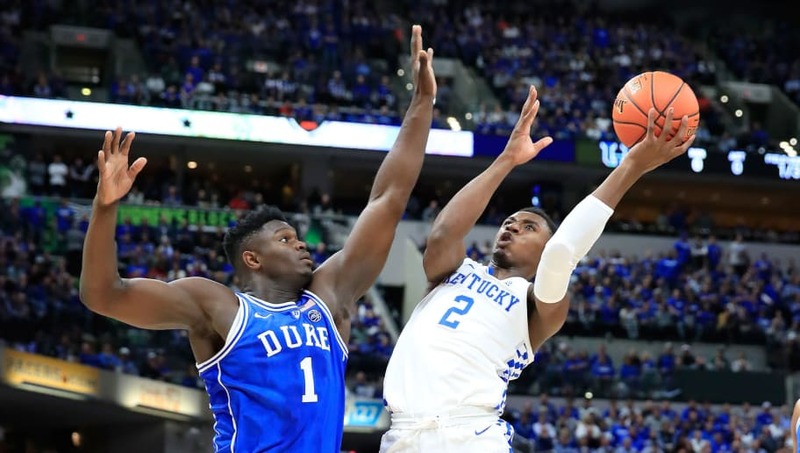 And ​Zion Williamson matched every bit of hype (and more) attached to him. Your first shot as a college player helped shut up every doubter that said you wouldn't be a shooter? Nice. No, he's literally a Monstar. And he's paired with THIS GUY! RJ Barrett managed to fly under all of the social media talk because Zion was stealing all the spotlight. As for Kentucky, head coach John Calipari certainly ​doesn't have to worry anymore. His team will need to make A LOT of improvements by March if they want to compete with the best of them.